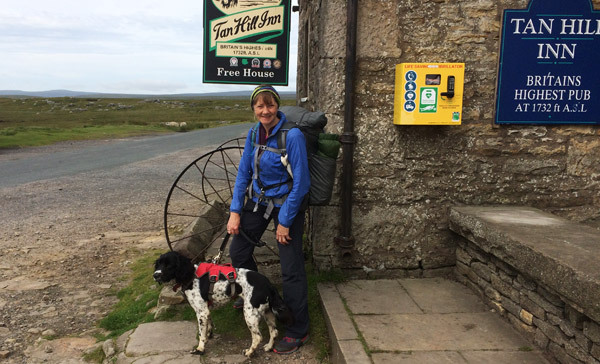 No 467 – The Pennine Way – The Outdoors Station "UA-92084833-1"
July 2018 and Rose has now completed the Pennine Way, during what turned out to be the hottest, driest period of weather the UK has experienced for many years. 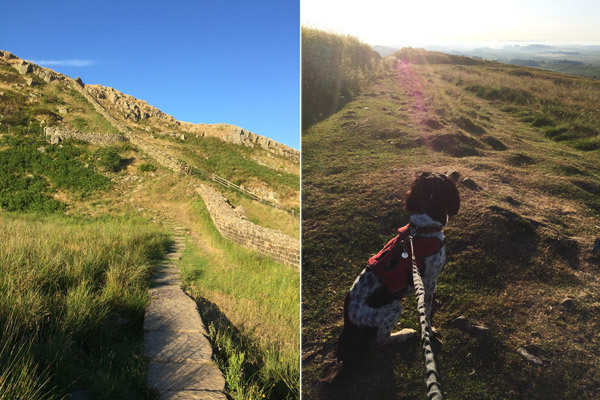 As you’ll hear on the podcast, tackling it while attached to Pip the Spaniel proved to be one of the many limitations, as the heat meant carrying water was priority and continual checking the dogs health when walking to blistering hot stone paths and tracks added even more to the challenge. Rose can only carry so much weight and so decided to not take any cooking gear, relying on posting ahead museli for herself and dog food as her daily rations. Unless she could find food on route at pubs or accommodation, this resulted in her living off bars and fruit, or whatever she could buy in the villages. 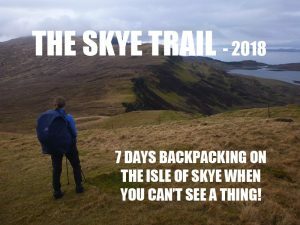 The weather changed everything, the terrain became harder, the climbs became steeper and Pip pulled continually weaving from side to side on the track, making each step inconsistent. Dry burns and streams meant water was a priority for both and filtering what water could be found after Pip had soaked in it for 10 minutes, made them both take rest breaks. Each day they started at 6am to get the miles completed before the heat became oppressive. However on one day they started late afternoon for Hadrians Wall which turned out to be massive good fortune as it resulted in a wild camp in one of the most popular visitor spots, which they had totally to themselves. All in all Rose reckons the Pennine Way is achievable with wild camping most of the route. 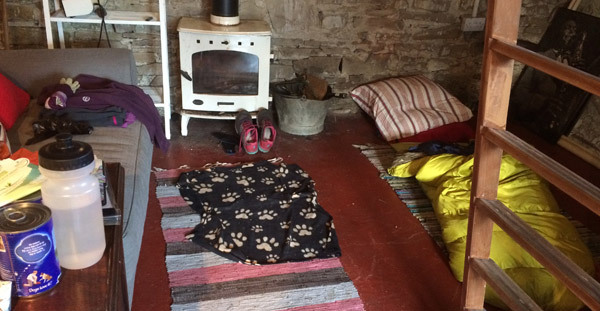 One word of advice though is to ensure you obtain the latest Cicerone Press Guidebook, as many of the accommodation and services seem to change on an annual basis, and there’s nothing worse than anticipating accommodation only to find them closed. Well done Rose. I think that I recognise one of those photos on the top of Cross Fell. I made it to Kirk Yetholm at 4pm Saturday after leaving Byrness at 5.30am (with a far lighter pack but still 5 litres of water). Did you have trouble with the Otterburn fires? Wind was NE on Saturday so I was not affected, but it shifted on Saturday night to more of a SE. Thank you for the encouragement! Thanks. You too Adam. It was another hot day but doing it with no dog and no heavy pack was so much easier. You set a good example. Thanks for your company.